This weekend I had the chance to see the authors of Hacking Google for Education: 99 Ways to Leverage Google Tools in Classrooms, Schools, and Districts in action! At their third annual Tomorrow’s Classroom Today Conference, authors Brad Currie, Billy Krakower and Scott Rocco shared some of the big ideas in their book and led a special event that brought in educators from around the country. You may have heard of these three before – Brad, Billy and Scott are the brains behind the super popular #satchat. I also featured their book, 140 Twitter Tips for Educators on my site last year. Their newest book covers dozens of tips for teachers using Google tools in their classroom and is an awesome resource for educators at all grade levels. It’s part of the Hacking Education series I featured last year, and another must-have to add to your summer reading list. Hacking Google for Education includes classroom, school and district tips perfect for educators thinking about the integration of Google tools at different levels. There really is something for everyone – new users, veterans users, teachers looking for tips about their favorite tool like Google Slides or Google Forms – you’ll find lots of ways to put the information in this book into practice right away. I personally loved all of the ways the authors highlighted how Google tools could be used to check for understanding. 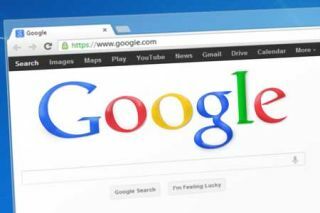 Their hacks for using Google in educational settings include lots of actionable information you can use tomorrow. If you’re like me, you might skip around to different topics based on your own professional learning needs, or you might read it from front cover to back cover. Hacking Google for Education is definitely a book you’ll want to annotate or have sticky notes handy to flag pages that have a tip you’re ready to use tomorrow. Now I work with plenty of schools that use Google Classroom, even a few that are one-to-one with iPads. This is a book for teachers who use Google Classroom, but also for educators who use G-Suite to collaborate with teacher teams, or just to keep their own personal and professional documents organized. Check out Hacking Google for Education on Amazon – it’s now available in paperback and Kindle!